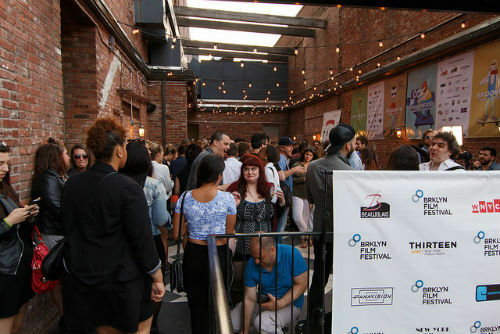 3,979 miles from Cannes, 4,147 from Venice and 3,000 from Los Angeles, a diverse international crowd gathered at the Brooklyn Film Festival (now in its 18th year) to celebrate innovative storytelling and filmmaking in the age of the indie. 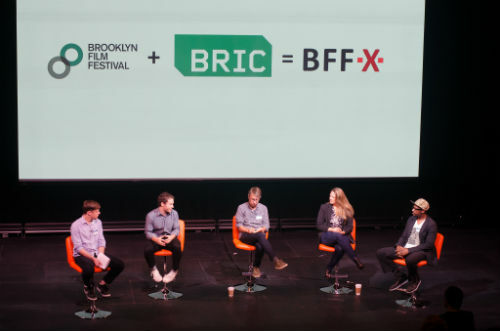 Technology has levelled the playing field, giving artists greater access to the filmmaking process, yet huge challenges remain for those drawn to the world of making and distributing movies. "Filmmakers are using technology to create amazing things," comments Bryce Renninger, the Festival's new Director of Programming. "But there are many more films and there are many more entertainment choices for audiences." It is easier, cheaper and even faster to make a film, but how do you make your movie stand out and how do you ensure people actually get to see it? 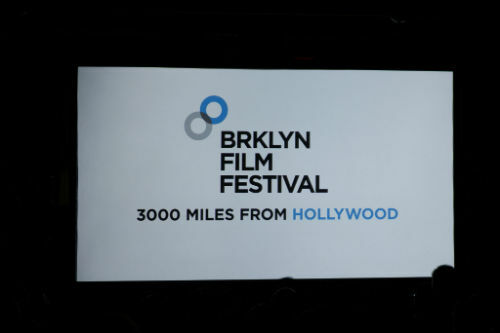 Renninger notes: "Film Festivals are still an important outlet for people to find great films. We were able to bring together a significant number of American indie and international films created with limited resources but still incredible art." 2,331 films from 114 countries were submitted to the Festival. Just 109 films from 26 countries were selected. 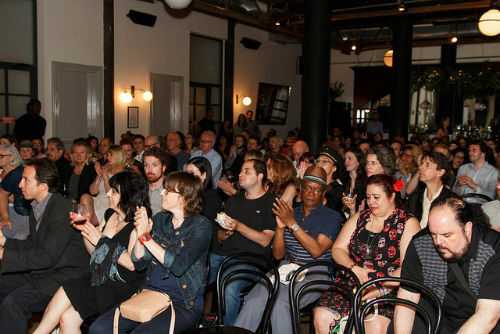 When the screenings, panels, parties and awards were over, I asked some of this year's winners to share the important lessons they learned while making their newly honored films. Joseph: Don't try to make a movie above your means. If you are a beginner filmmaker and don't have any financial backing, you have to make a movie that is centered around dialogues. Props, locations, actors, special effects all cost money that we didn't have. We knew our story had to be one that takes place in free locations and is character driven with strong dialogue showcasing the characters and the story. Make a movie about/with people who have strong stories. We didn't create Sweaty Betty, instead we asked around in our neighborhood for the best stories. Learn how to professionally record and edit sound yourself or hire a professional sound recorder/editor. I didn't take any classes on producing and I wish I had. We did mostly everything wrong from a producing standpoint because all we had time to focus on was directing and making the movie. Make sure you research the producing issues that may affect your movie before or during production. Alison: The creative process of a film is like a Christmas tree. I try to choose really talented collaborators -- people I truly admire, and I'm just trying to get their gifts. In Funny Bunny I tried to get really comfortable with the feeling of not knowing precisely where we were going. I learned to not be afraid of that feeling. I learned to be humble to the point of self-effacement. I wonder in hindsight if I was purposely acting clueless and confused at times because it creates a power vacuum that others get nervous and feel they have to compensate for. And as a result, I get all their best gifts. Maybe it was calculated and brilliant, or maybe I was just actually clueless. I'm not sure! Alfie: Work with people who believe in you. It will give you courage and make you much better. There are many ways of getting things done. You just have to start doing them. Clayton: We learned to blend our different mediums together -- his music and art, and my filmmaking. If you truly want to collaborate, then sometimes you have to allow your collaborator to be right even if you may not be sure. Frank: Tenacity! Having a strong determination when the going got tough was key. The process of script to screen is an art. I particularly found it emotionally and creatively challenging to mold my script into actual images. Each day you must change, adjust, cut, alter and then judge that change on how it affects your story. No one cares about your project like you do. Collaboration is key, and finding smart, hardworking people is a blessing. You need to include people and ask their advice. But at the end of the day, it may be you who has to act and get something done. Danya: Be as transparent as you can with your subjects. It will set the tone for your project and your relationship with your collaborators. Find ways to make your subject a partner in the project -- we did long recordings of Eric driving around town with a GoPro in his cab and he would collect unbelievable interactions with passengers. The footage gave us something to collaborate on. Shoot quietly. Eric is an excellent storyteller and I liked hearing his stories so our early footage is very talk-y. I realized we needed to switch things up and usually that meant a very small crew (often just me) needed to hang out until Eric got bored with us. Lea: You face the unique challenge of making a film that is both journalistically sound and theatrically thrilling. About halfway into the editing process, we started to get bored with our structure and realized that we should probably rework the storyline, music and images to keep the audience engaged through every scene and transition. We dug up an old children's book about our main character that featured water color illustrations of him as a kid. These helped to salvage our film in the end. As a female filmmaker working on a sports film, I quickly realized that my role would be scrutinized and questioned in ways that a male director would not be. Navigating shoots, editorial feedback sessions and panel discussions about the film showed me that I had to maintain a sense of authority in the storytelling and pride in my role on this documentary. Sean: We learned each other's strengths and weakness, we communicated about every problem head-on, and most importantly, we made sure the film itself was more important than egos. Documentary production is an ever-evolving process, and your story will inevitably change, the deeper you get into production. However, you can't lose sight of that initial conflict that inspired you in the first place. Robert: When working with small children, patience is extremely important because they can feel your energy and they do an amazing job of reading your face. The value of good lenses and maximizing the lighting you have access to are important. Understanding what you can do with what you have is often times better than what you tell yourself you need in order to get a specific shot.